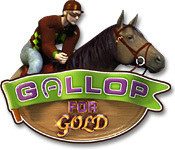 Gallop for Gold is rated 4.0 out of 5 by 4. Rated 5 out of 5 by SimplyLucy from Big Bold And Beautiful A slot machine with attitude! Fantastic graphics set with amazing sound effects. Buy 'Power Up's' for your horse that could give him/her an extra winning edge. This is a highly addictive game! Grab a snack and a drink to go with. Get comfortable and say, "Hi!" to the family, (or at least wave to them). 'Cause, you're in for hours of pure Race Track fun! Enjoy! Rated 5 out of 5 by Wendy_JM from Great fun! I love this game! 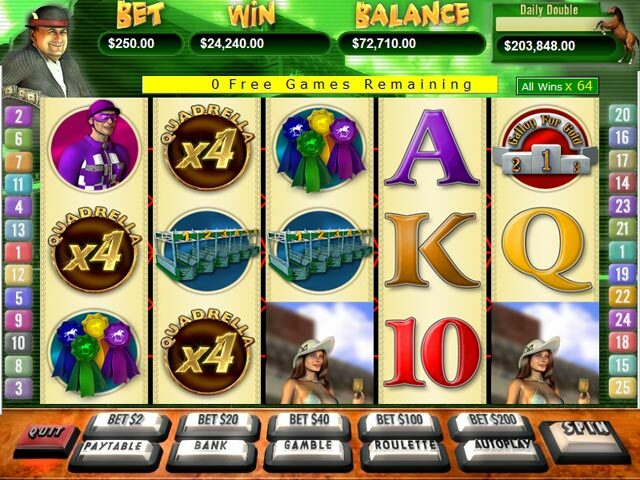 I love playing slot machines, and this simulates a slot machine game really well. 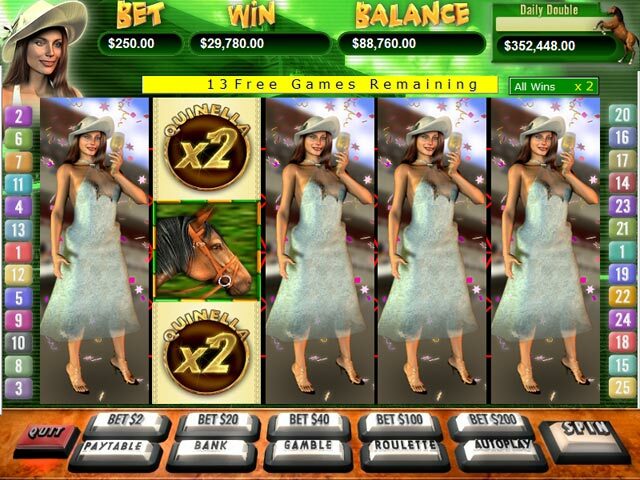 The horse racing theme is appealing, the graphics, music and sound effects are excellent, and the bonus rounds are fun. My favorite part is when you get to partake in a horse race! It's very addicting, but the best part is that you can get your casino fix without actually gambling any money. I highly recommend this game to anyone who likes playing slot machines or is just looking for something different. Rated 5 out of 5 by fairlane101 from A fun slot game to play for all A fun game to play if you like slots. I was relaxed and played this game most of the night. The horse racing was so much fun and i could not wait to get to the next race. It is an addicting game and will help you pass the time with a cup of coffee or whatever you like to drink and just let yourself go. 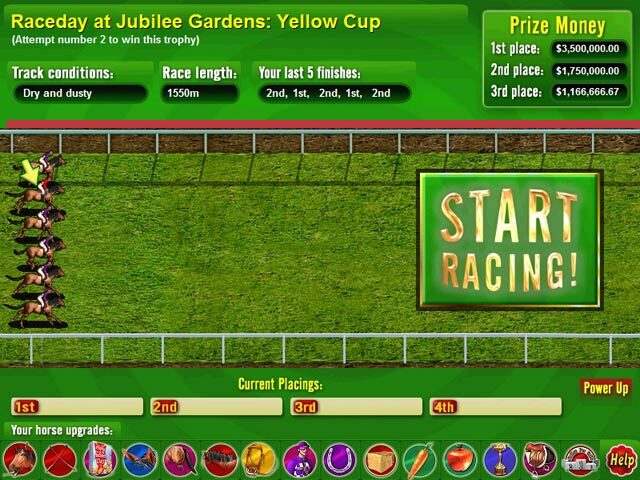 I recommend this game for all slot players, racing fans or just a change from HOGs.. . Rated 1 out of 5 by Hillbilly_Gal from Large Bold Graphics But Extremely Boring Game I enjoy playing slot machine games when there it offers something unusual or different which this game definitely does NOT offer. The graphics are bold and colorful. Even people who have vision problems like me, being almost legally blind, can see this game without a problem. The sound is the same ol' thing so I turned off the sound. The problem with this game is that I ran out of money in only a few minutes then it replenished itself, I never got to play a bonus level if there even is one, and I found myself bored half out of my mind very quickly so I called it quits then deleted this game from my computer. This is another slot machine game that is on my NEVER GOING TO BUY list.